These days, almost everyone is talking about “content marketing.” There are brands using killer content strategies to break the Internet. And then, there are some who are yet to reach there; brands that have just embarked on their journey and are looking for examples and inspirations to create a solid content marketing strategy. In order achieve a powerful content strategy, you need to understand the power of content and the way it works. According to Content Marketing Institute, content marketing can be defined as a technique of creating valuable, evergreen, and consistent content that is distributed through your website and on the web. These high-quality content are created to attract a targeted audience to drive more people to your website and drive conversions or leads. In short, it can be considered as the heart and soul of your digital marketing strategy. As a marketing discipline, content marketing is important for many reasons, but how do you decide on what kind of content to market to achieve your goals? For that you need to know the customers. Up, close and personal. What are your customers searching for? What will be the best platform to reach them? What topics will hold their attention? Once you’re able to determine your target audience, it’s time to create content strategy that will work with your demographics. With so many different types of content available, how do you know which one will work? Let’s look at some of the successful content marketing campaigns that other brands have implemented. Lowe’s Companies Inc. operates a chain of retail home improvement and appliance stores in United States, Canada, and Mexico. It is the second largest hardware chain and as part of their content and social media campaign. It uses Vines as a part of its content and social media strategy. It promoted it’s Vines with the hashtag #FixInSix. These six-second vines promotes products and tips that are beneficial for their users. They have received undivided attention from their target customers. These quick tips are short, but packed with valuable content. It also played a big part in strengthening Lowe’s position as a source for home improvement solutions. Despite the modest budget for this campaign, Lowe’s succeeded in becoming an overnight sensation. In the first year, their campaign achieved 15 million earned impressions. Vine promoted tweets on Twitter have approximately 20 percent more engagement rate than other promoted tweets from Lowe’s. Through the Fix in Six videos, people were able to discover new ways to improve their homes in a more memorable and entertaining way. Best of all, it is extremely easy to produce Vines through the Vine video app. You can even consider creating a longer video version from the short one or write a blog to accompany the suggested tip or product. ModCloth, a popular American online retailer of retro, indie fashion and decor, has been using Tumblr to curate content that can be shared with people across social platforms. The layout of ModCloth’s Tumblr is quite similar to it’s Pinterest account, where they display content such image-inspired clothing, accessories, and other popular articles or visuals that fit the brand’s image. The purpose of their Tumblr and Pinterest is to encourage users to buy products from their website. In addition, it provides links back to ModCloth online store, allowing users to buy items on display. This is a perfect example of how small-scale retailers can drive traffic to their eCommerce sites by using social networks. To leverage on a similar content strategy, you need to first ensure that most of your content can be linked to your products. Also, don’t make the content too promotional in nature; the goal is to incorporate your products into the content without making them look like a hard-sell. Caterpillar is the world’s leading manufacturer of industrial gas turbines and diesel-electric locomotives, diesel and natural gas engines, and a leading manufacturer of construction and mining equipment. Many may think that a manufacturing company would be considered a boring industry. However, they have shifted from a conservative marketing approach to a buzz creating marketing strategy. In April 2014, they released the video of five of its heavy machines playing a game of Jenga with 600 pound blocks. This video went viral and earned over 2 million views. Now, the company consistently uses videos in their content strategy to demonstrate the key features of its products, share their values, or celebrate it’s rich heritage. These videos pull in a lot of engagement. Their Global Marketing Services Department Manager, Renee Richardson said that Caterpillar shifted from conservative marketing to buzz creating marketing so that they can facilitate more consumer interaction. Richardson’s strategy of including fun and engaging videos in its marketing strategy is about attracting not only customers, but also potential employees. 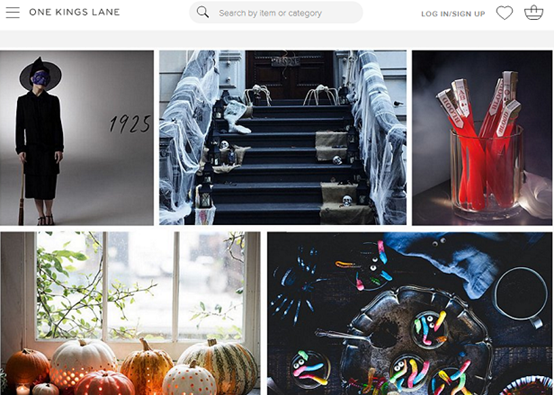 Home decor brand One King’s Lane launched a blog, that grew by 800 percent in a year. Their approach for the blog was to replicate an upscale lifestyle magazine with engaging articles, quality photographs, tips sections, seasonal recipes, and a curated and shopping section for daily home decor inspiration. “When we create content, it begins with a question. What does she [our customer] need from us at this time, and what are the stories we can tell to help and inspire her around her home”, says Alison Hall, the company’s Editorial Director. Sometimes, the purpose of the blog can go beyond providing useful tips. It can spark inspirations for your readers to encourage them to purchase products from your website that can improve their lifestyle or home. Sometimes, we focus too much on creating the same articles over and over again, we forget to change it up a little. 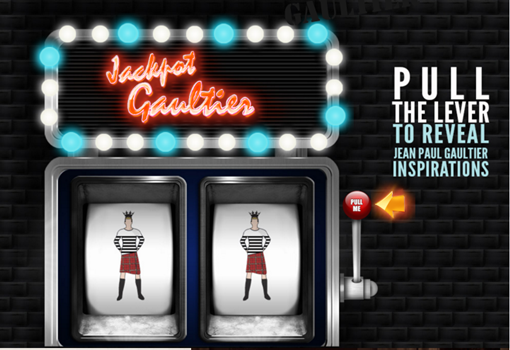 Jean Paul Gaultier frequently changes up their home page to add little surprises for their visitors. These added features on the website can guide users to specific blogs you’ve published. It helps to encourage your readers to navigate through your site and stay longer. Sure, these types of content don’t necessarily drive sales for your business, but it will increase engagement and help to leave a positive image for your visitors. Simple websites can be converted into eCommerce websites with the help of tools like ShopIntegrator. Different eCommerce sites can develop different brand personalities by adding some creativity to their strategy. This can help businesses to engage with their customers. Content Marketing is a versatile discipline. It drives conversions, creates awareness for much-needed engagement for eCommerce site. 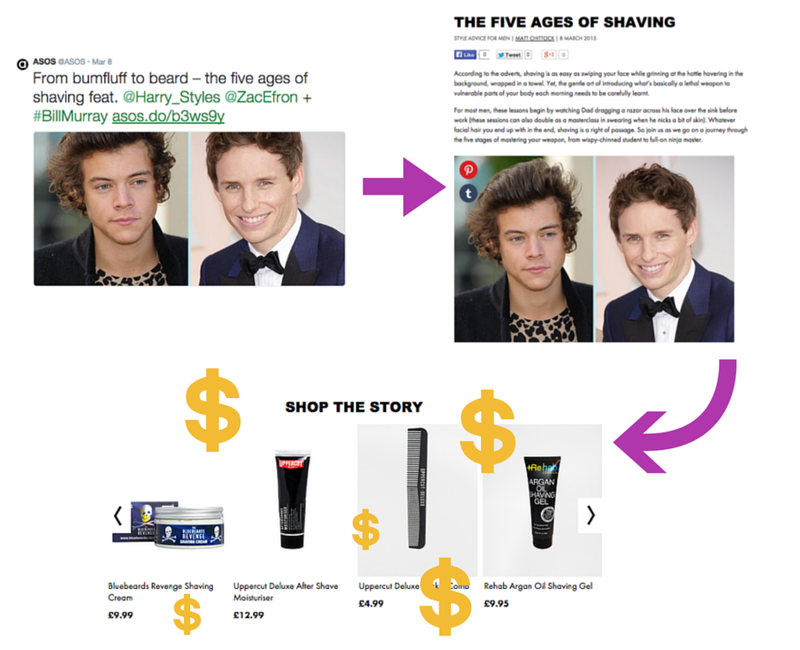 For eCommerce companies, figuring out which format to use is the key. It is always good to be inspired from successful examples. Luckily there are a lot of brands who are using the strategies of content marketing well. Hope the examples we discussed inspire you and get your creative juices going. Go forth and have fun when you’re thinking about your content strategy. So much to learn! Is content writing similar to copywriting? Are there formal instructions and/ or workshops to adhere/enroll or register to gain certification for content writing? What institution or online courses would you recommend for us who are interested in this type of freelance writing or learn copywriting and /or content marketing? If I were to do content writing or online marketing, where and how do I go about it to pursue this interesting career?